In the 33rd in a series of posts on 2013 books entered for The Story Prize, Stevan Allred, author of A Simplified Map of the World (Forest Avenue Press), explores point of view. The stories in A Simplified Map of the Real World gave me the opportunity to explore one of my central obsessions as a writer: point of view. I had abandoned a novel that I'd worked on for five years, a novel that had four first person narrators, and when I turned my attention to short stories, I was eager to try something different. I'd been away from third person for so long that writing in third person felt exotic, as if I had slipped my body inside a new skin. POV is of course a great deal more complicated than deciding with which pronoun a narrator will refer to him- or herself. I live in a very rural setting, but I had not written from that place, and now this unexplored territory beckoned. The familiar world right outside my door became a second exotic element I could build into the POV of a character. So as I began “Conflations of a Hard-headed Yankee,” the story that would become the first one I wrote for this collection, I was thinking only that I would write in third person about a man who lived in the country. I wanted the story to have a ghost in it, because I'd never written a ghost before—at the time the idea seemed completely foreign to me—and I was interested in both how to describe something so ephemeral, and in what the deeper metaphor meant. Ghosts, I came to understand as I wrote, are a metaphor for the persistence of memory. I began with a man watching his cat hunt. He follows her into his barn, and there he encounters the ghost of his dead wife. He believes he is hallucinating, and I leave it to my readers to decide for themselves how real this ghost is. I have never seen one, but I have a friend, a man of great sobriety and intelligence, a man not given to flights of fancy, who saw one and told me about it. This man, a New Englander, became the "hard-headed yankee" in my story, a man who sees something he does not believe in, and who must decide how he will live with the inexplicable. I felt a door swinging open inside of me as I wrote this story, and this door opened on to the terrain that I would spend the next several years exploring. 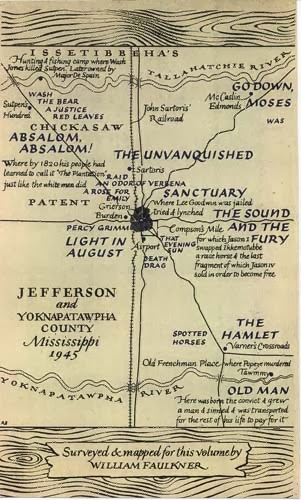 I had always loved the conceit of William Faulkner's Yoknapatawpha County, that Faulkner invented a county in which to set all of his work. I would do the same. I would write about the countryside that I loved, and the small town near where I lived. 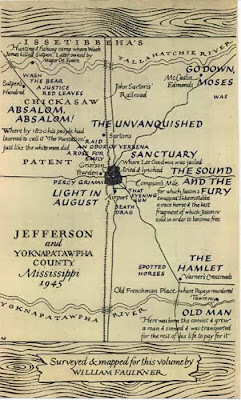 I would call my fictional town Renata, Oregon, and like Faulkner, I would draw my own map, and populate it with my stories, and I would include that map in the collection. The question of setting now settled, I was free to obsess about POV. Each story in the collection would have a different narrator, but characters would recur, giving me the opportunity to present them again as they are seen by their neighbors, their friends, their family. The stories would always be about whatever was going on inside me at the time—I know no other place from which to write—but there would always be a POV issue to wrestle down to the mat. I wrote in first, second, and third person, and in third person I explored close-in and more distanced narrators, and I took on omniscience. I alternated more than one third person narrator within a story. Craft, character, and setting coalesced for me into a kind of writing joy juice that I sipped on as I wrote these stories over the next several years. I gave each story its own voice, with its own idiosyncratic language and sound, whether I was writing in the persona of an eight-year-old boy, a ninety-one-year-old woman, or an omniscient narrator. Voice, I came to understand, was a metaphor for the particular consciousness of each narrator, and as such, was central to how I wrote the many different point of view characters in A Simplified Map of the Real World. Writing these stories engaged me on so many different levels that I never grew weary, and when I sat down to write, I could enter my imaginative world through any of several portals—setting, character, story, language, or POV. Each presented its own challenges, and together they served to keep me writing about Renata, Oregon, for years.